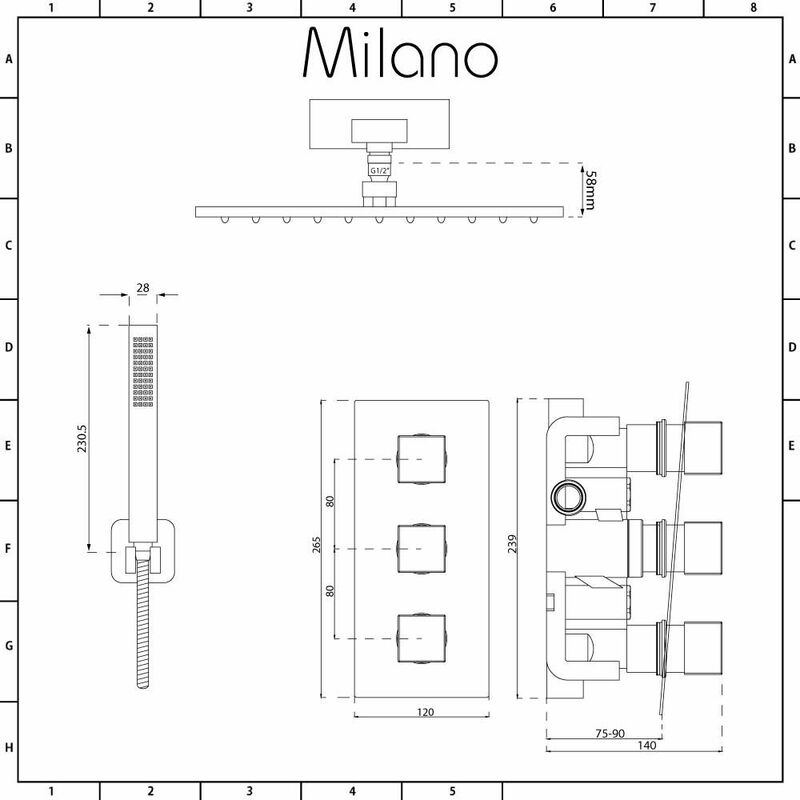 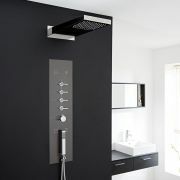 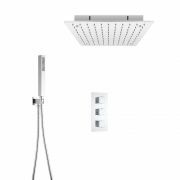 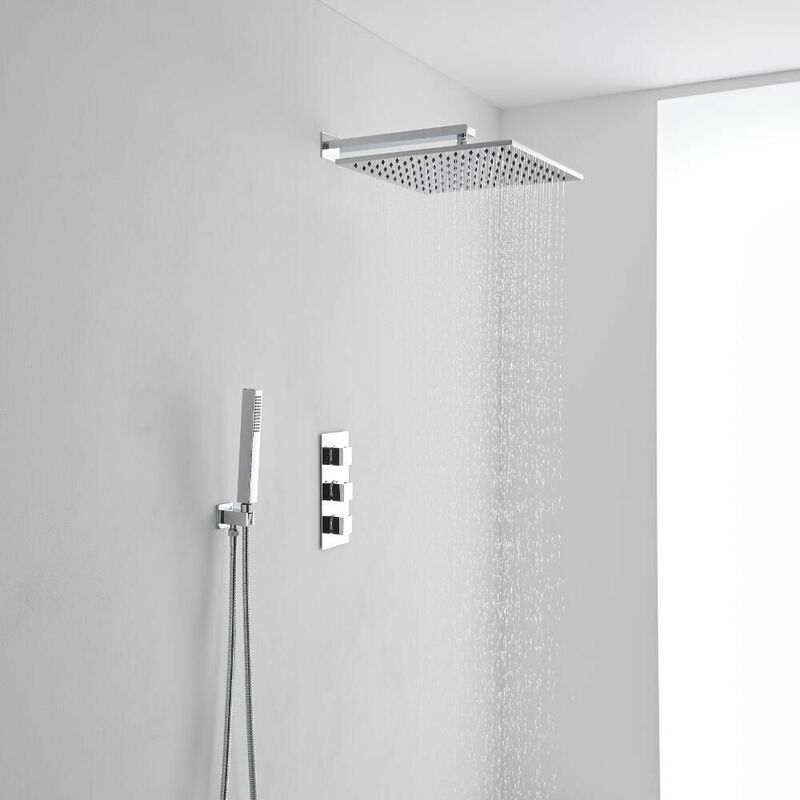 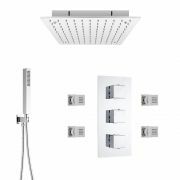 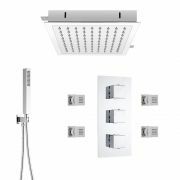 The sleek and stylish Milano Arvo thermostatic shower valve comes with the 400mm square wall mounted shower head and the shower handset kit. 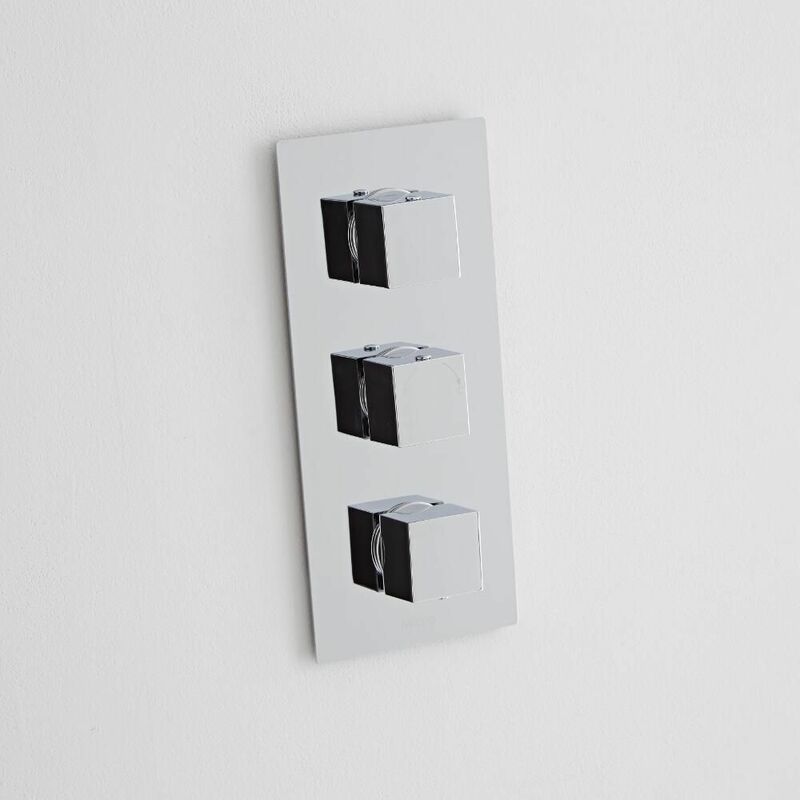 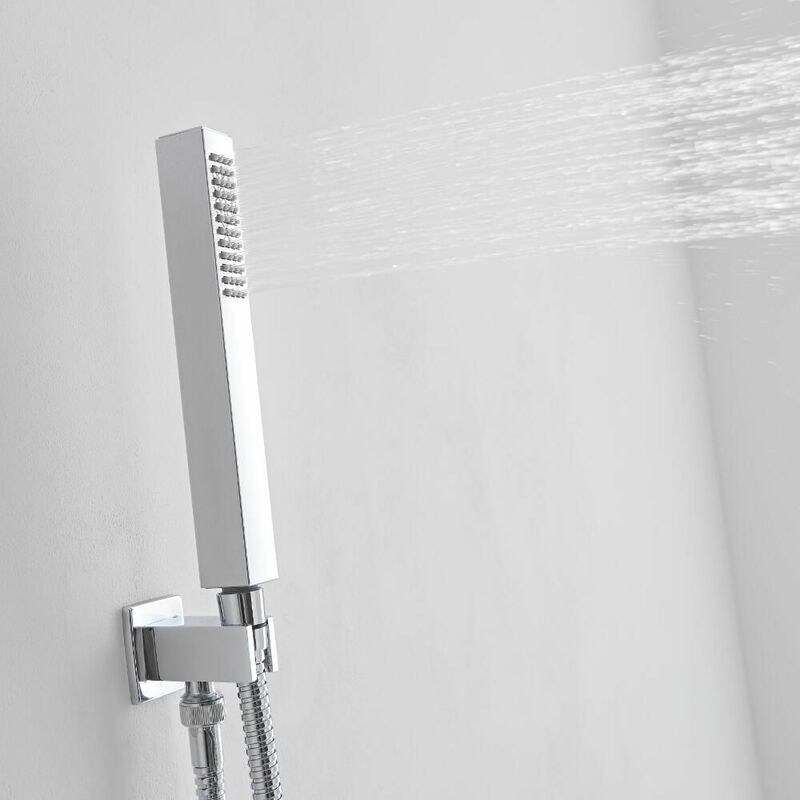 Compatible with all systems, the TMV2 approved thermostatic shower valve incorporates an automatic anti-scald device to ensure a safer showering experience, as well as ceramic disc technology to prevent leaks and drips. 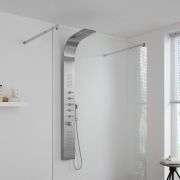 It has a solid brass construction and a brilliant chrome finish that blends seamlessly in with any bathroom decor. 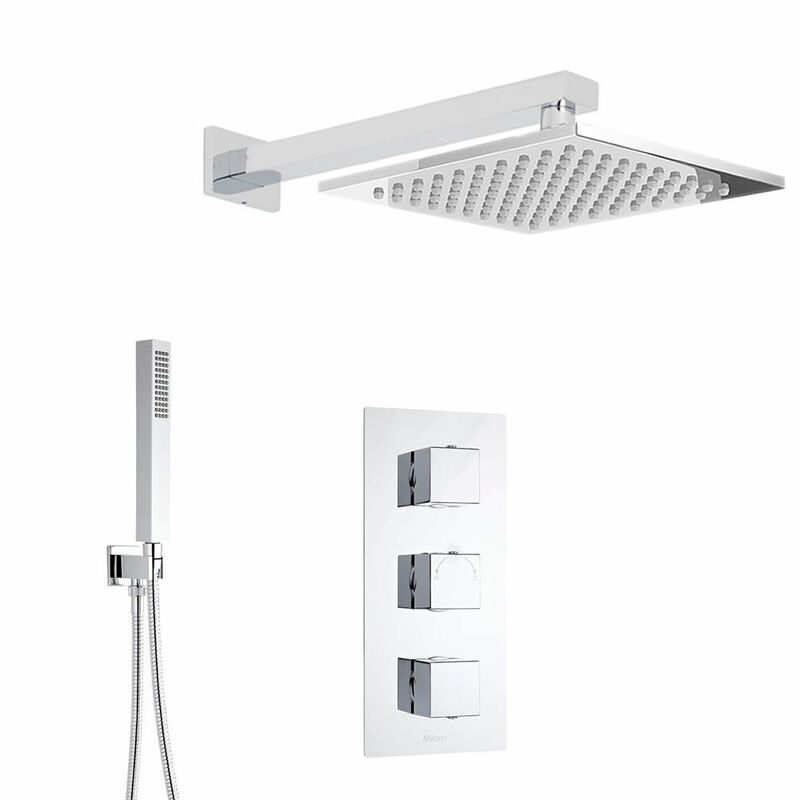 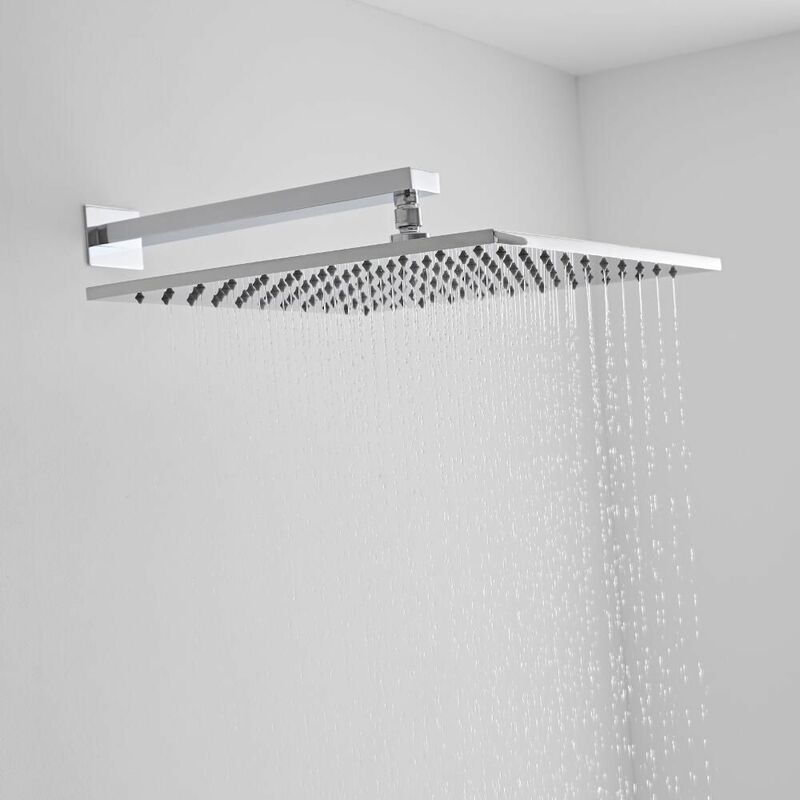 Supplied with the solid brass wall mounted arm, the fixed shower head delivers a refreshing rainfall effect, while the handset allows you to rinse and clean around your shower enclosure with ease.